I can now proudly check one place off my Huron County “to-visit” list: The Old Mill in Blyth. 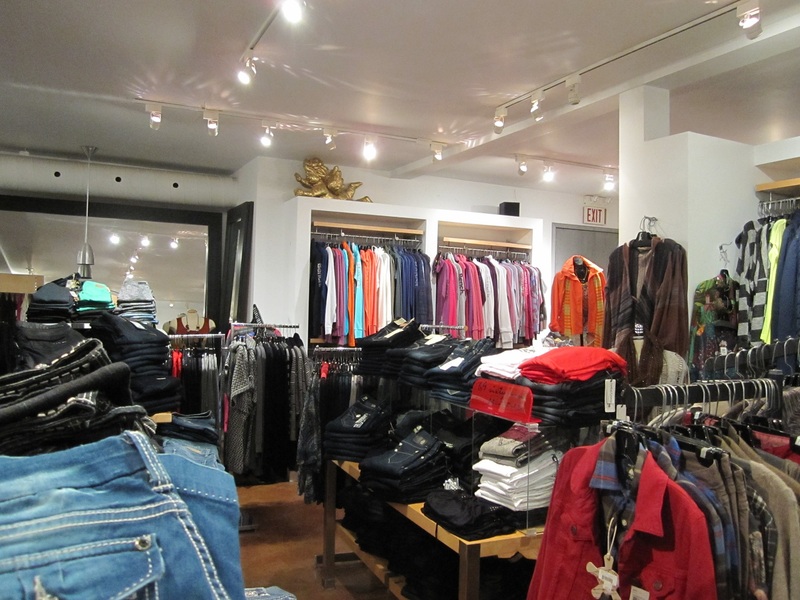 As this was my first-ever visit, I was pleasantly surprised that they carry more than just leather coats. In fact, I was actually blown away at the variety of apparel they offer! 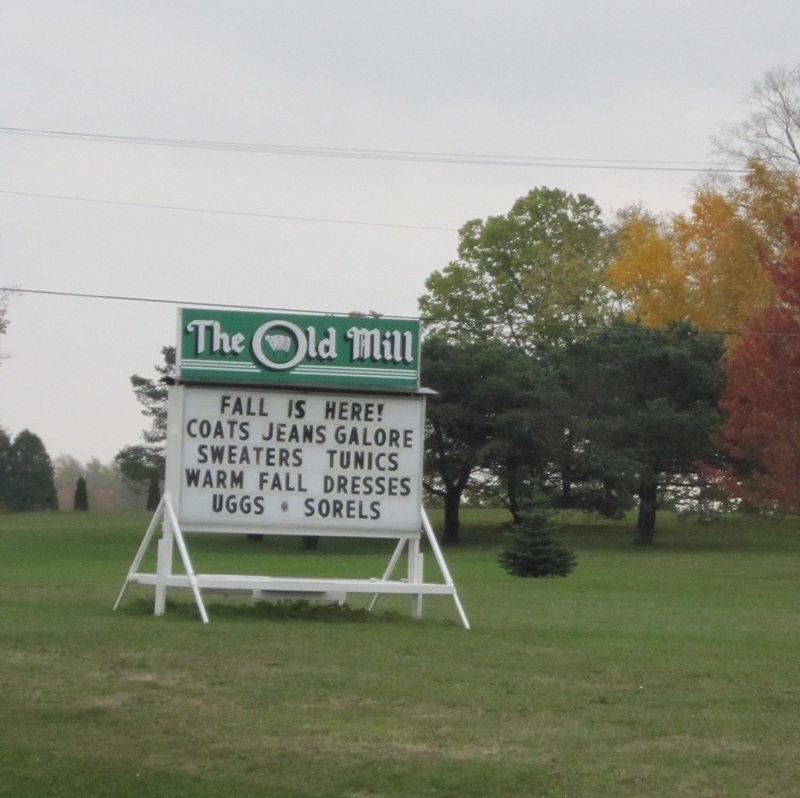 As their website indicates, “The Old Mill is just off Highway 4, nestled amid the picturesque beauty of the countryside, one mile south of Blyth, is the most surreal shopping experience, The Old Mill.” That folks, is a true statement for Canada’s largest leather store . I’m sure I’m not the only one who assumed that they carried just leather goods. I envisioned everything leather: coats, gloves, boots, wallets, and some sheepskins. 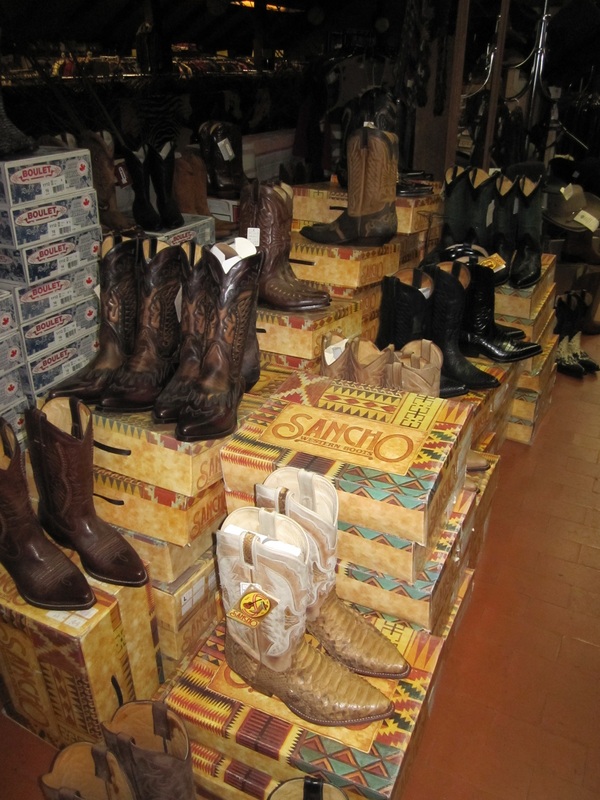 When I arrived, I found out that they carry all that PLUS formal dresses, fancy hats, scarves, purses, shoes, jewellery, cowboy boots, wool coats, designer men’s and women’s clothing, shapewear, Uggs, children’s clothes, stuffed animals, moccasins, sheepskin slippers…and more. They carry this all in not one, but two buildings! The sheepskins they had near the entrance have a variety of uses. There are rugs for decor, sheepskin for car seat covers, medical shearlings to help prevent bed sores, to lambskins to line cribs to help prevent colic and diaper rash. And many of these sheepskin rugs are 100% washable! One neat item I discovered was sheepskin slippers. After trying them on, I know that they are very cozy and light–perfect for a Canadian winter. I wish I had taken a photo of these neat Canadian-made slippers! I think they would make a great gift for the holidays. 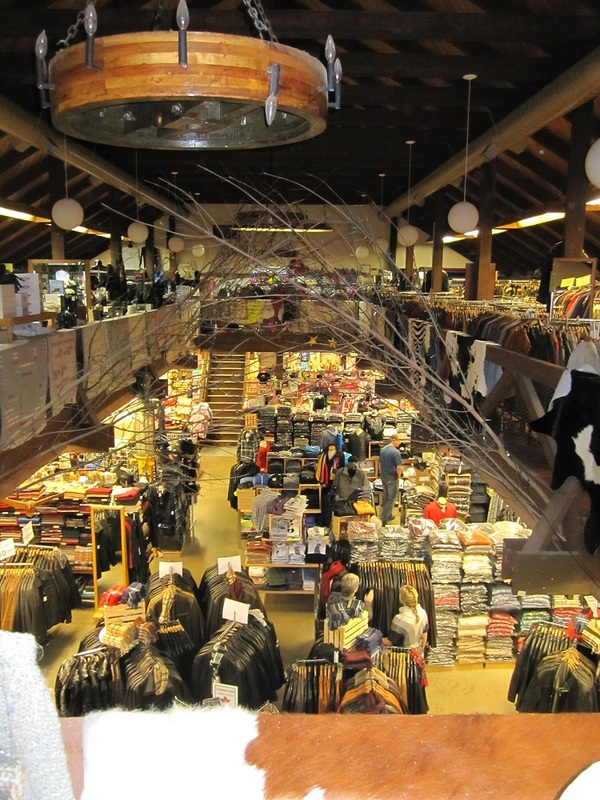 In the second building, they have discounted coats, both leather and wool, located on the upper floor (as shown in the photo). They carry a variety of sizes (to 4 XL tall) so there are lots to choose from. The Old Mill is celebrating 50 years in business, and recently installed one of Huron County’s first electric car charging station. Visit them at 82790 London Road.